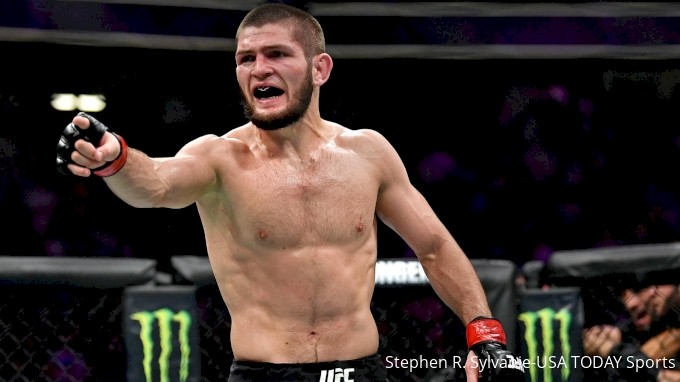 Khabib Nurmagomedov boasts an absurd 27-0 record as a professional mixed martial artist—but he wants more. Fresh off his destruction of Conor McGregor at UFC 229, Nurmagomedov finds himself in the enviable position of controlling his own destiny inside the cage. He's the champion. He's the star. And he gets to pick the fights he wants. With a worthy contender at lightweight in Tony Ferguson waiting for his shot and super fights vs. Floyd Mayweather and Georges St-Pierre looming, however, the decision isn't a clear one. There are many paths Nurmagomedov can choose, making this an intriguing situation both for him and for the fans watching it unfold. Speaking with Outside the Cage on CBS Sports Radio, American Kickboxing Academy Founder and Coach Javier Mendez shared exactly what he's heard from Nurmagomedov regarding his future and his potential opponents. "Quote me on that. That's what Khabib wants." Just like McGregor before him, Nurmagomedov wants to chase the money while it's on the table, according to Mendez. And while McGregor was finished by Mayweather in Round 10 and many feel Nurmagomedov would meet the same fate (or worse), Mendez says that element doesn't much matter. "Can we win? Hell, I don't know," he said. "But we can sure as hell give it a hell of a try. It will be a hell of an event." All this doesn't mean Nurmagomedov has forgotten about his duty to defend his lightweight title, though. Mendez said Nurmagomedov isn't done with MMA in the slightest, and the lightweight king still sees plenty of options inside the cage. "He still wants to fight. He definitely wants the fight with GSP," Mendez said. "And from a sport perspective, Tony deserves the next title shot, you know? Those are the three."